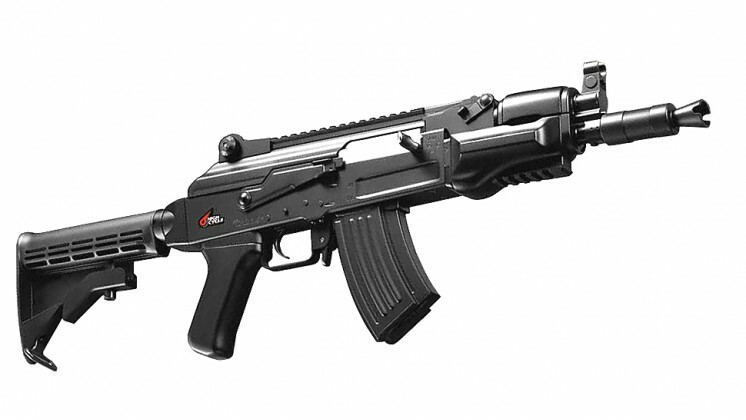 As a high cycle series AEG it sports a very high cyclical rate even with the most modest batteries. 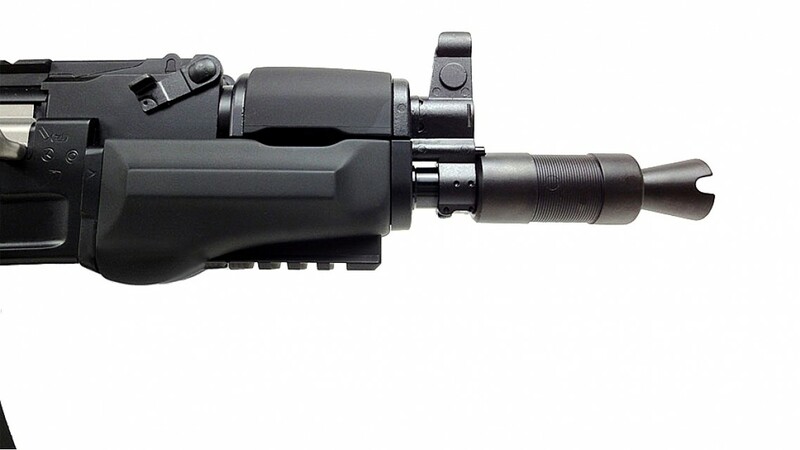 Its power is a low-level 250 FPS making this weapon very appropriate for indoor and short range engagements. 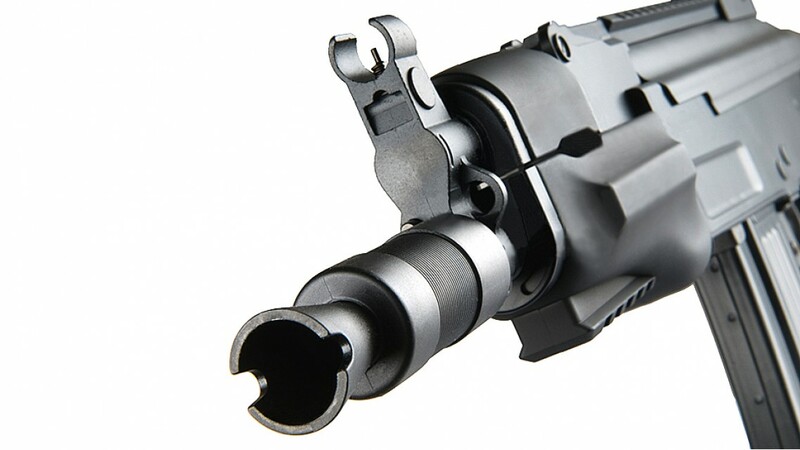 With this rate of fire, anything much higher than 250 fps would be very unpleasant anyway; to say the least. 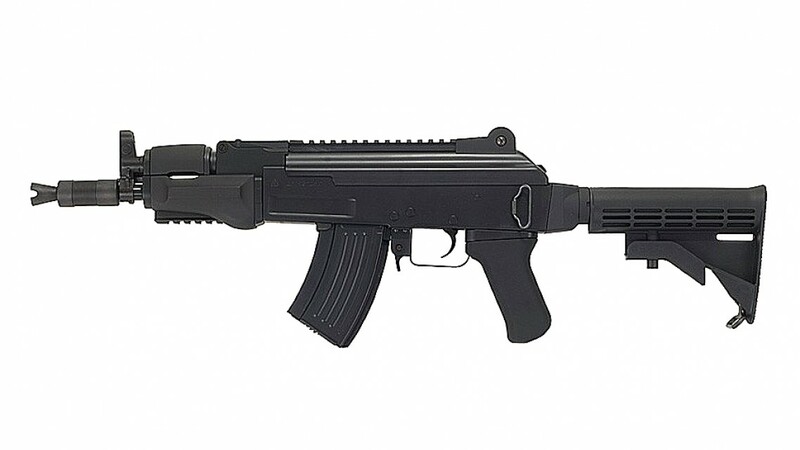 This model comes with a 250 round short type high capacity AK magazine. 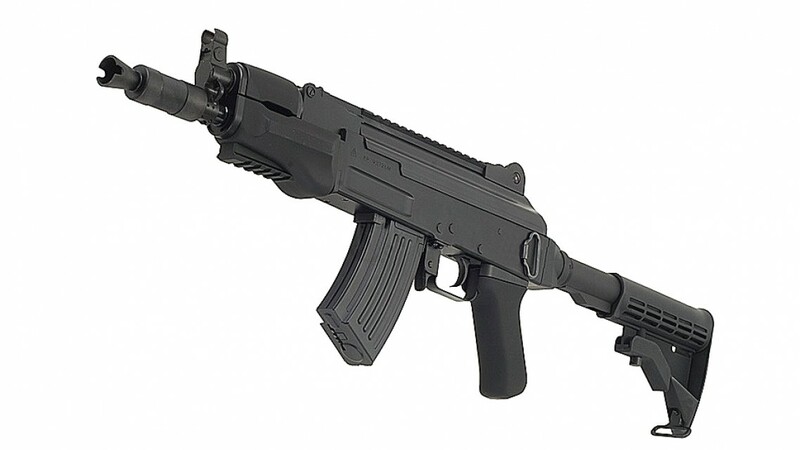 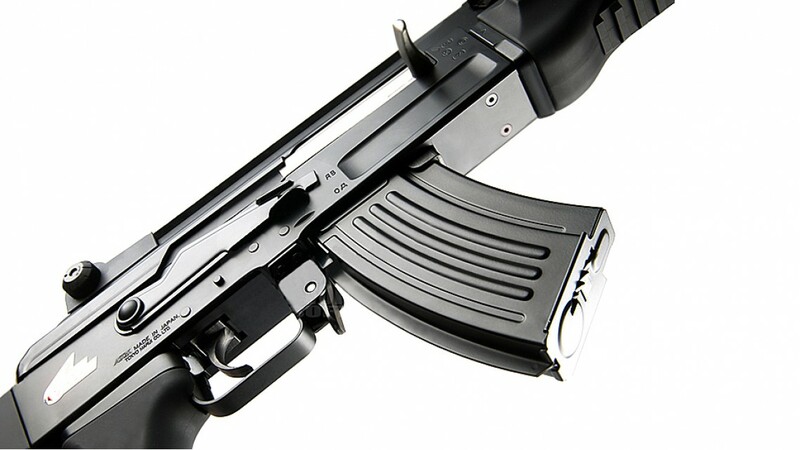 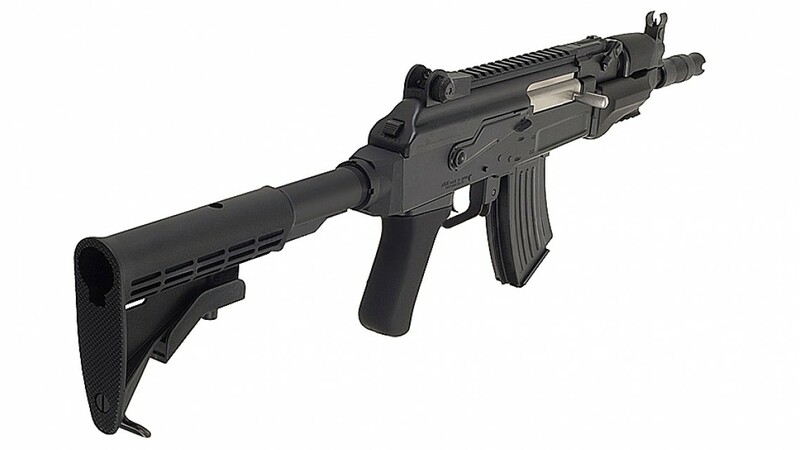 This weapon makes use of an M4 style 6-position telescopic adjustable stock which, although not as classy as the original, does bless this AK with more modern ergonomics. 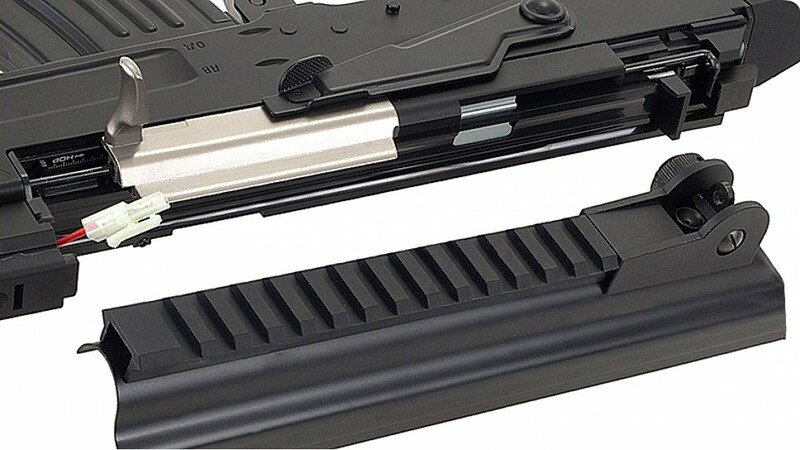 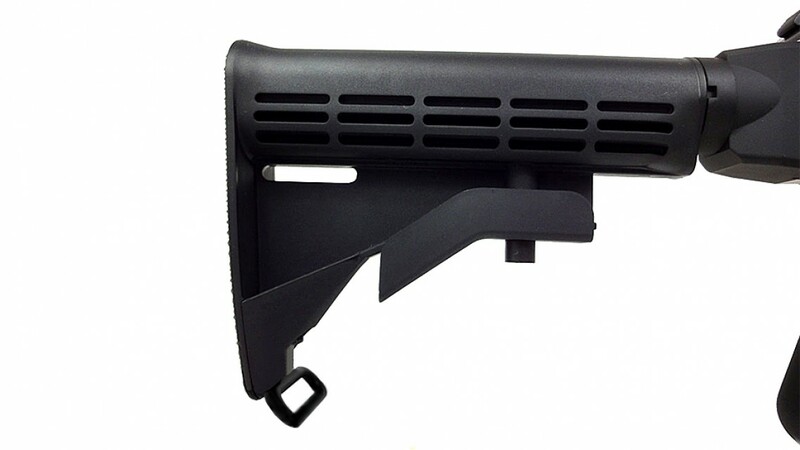 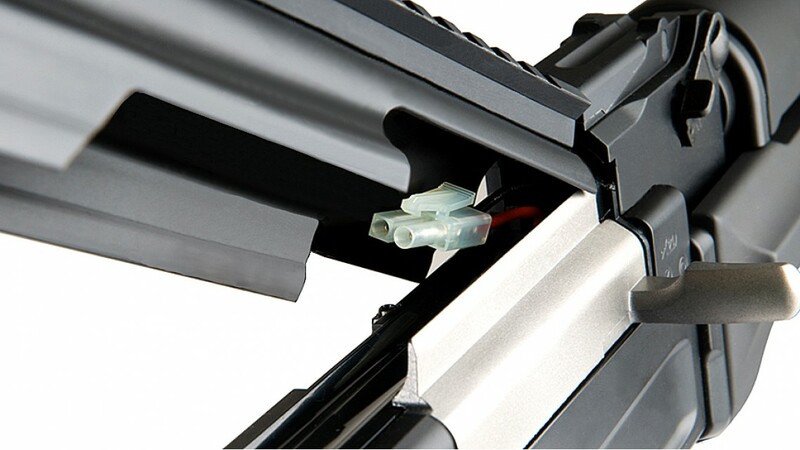 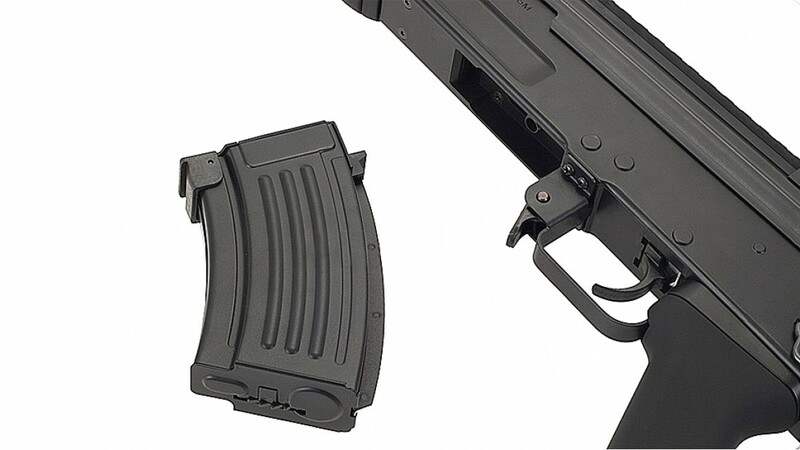 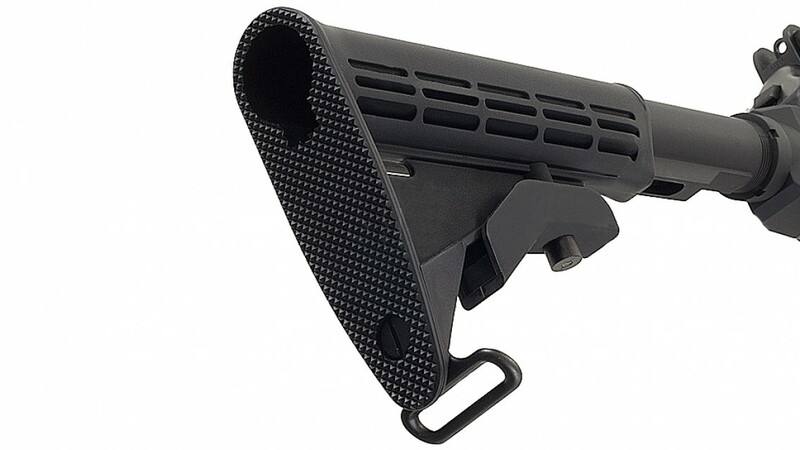 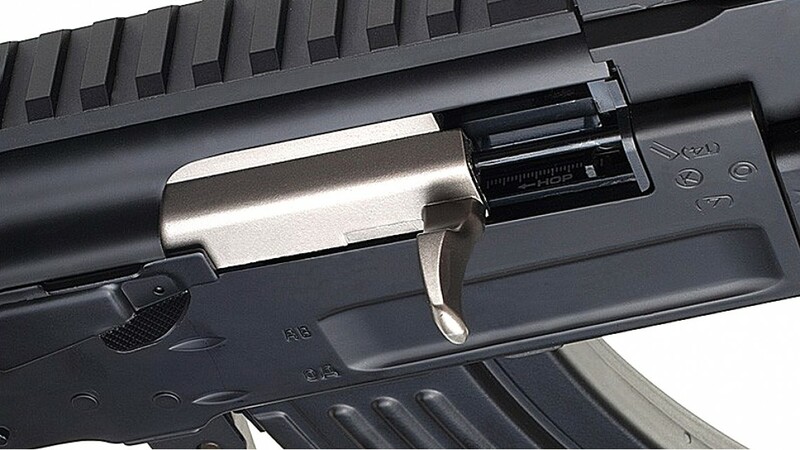 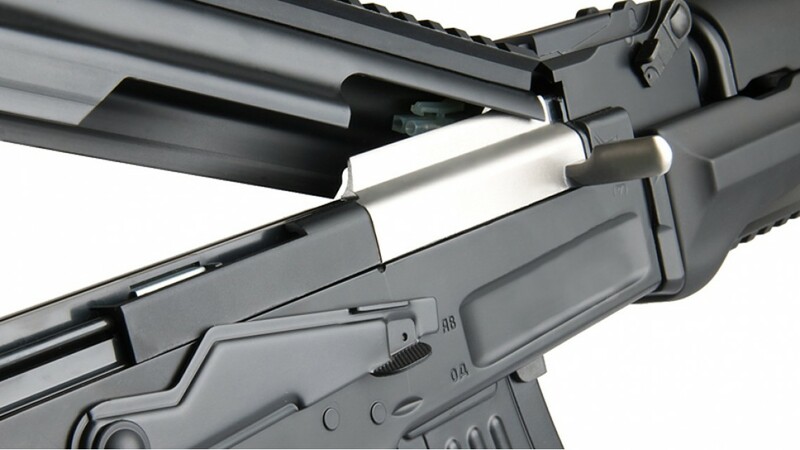 A short rail on the bottom towards the front and a longer top rail, this weapon is designed to take rail attach accessories right out of the box. 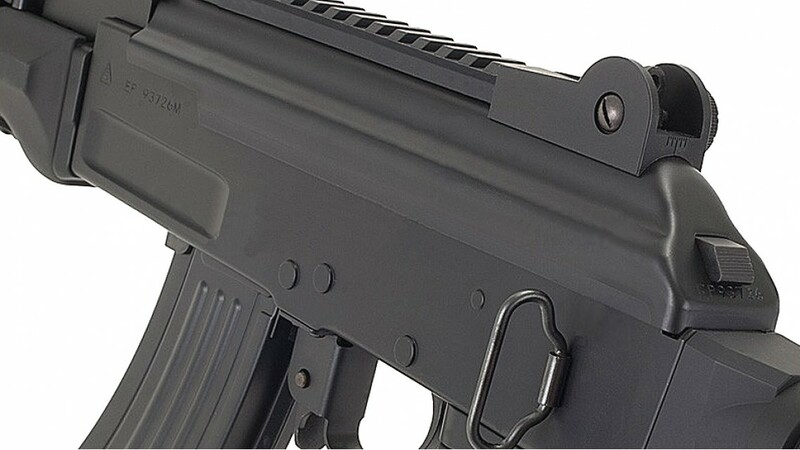 None are included with this model so do poke around for a decent foregrip and optical choice (not that there is anything wrong with the built in iron sights of course). 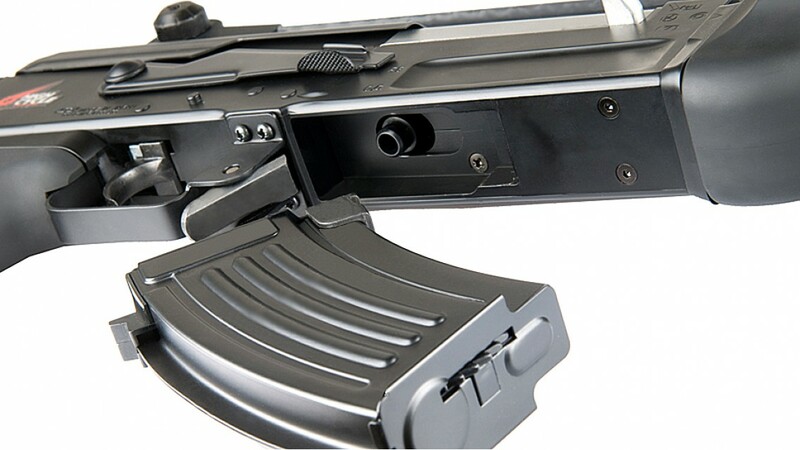 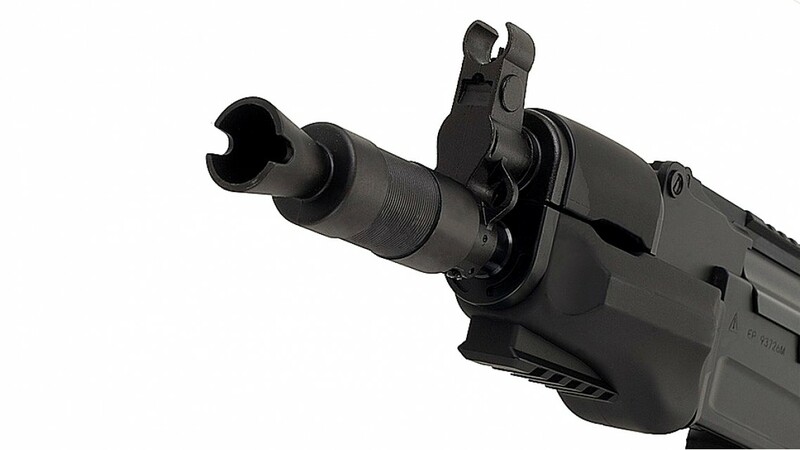 A compact, low weight AEG with a high cycle rate, very reliable fire, short range safe power and feeding from AK mags (available anywhere from 70 to 600 to 3000). 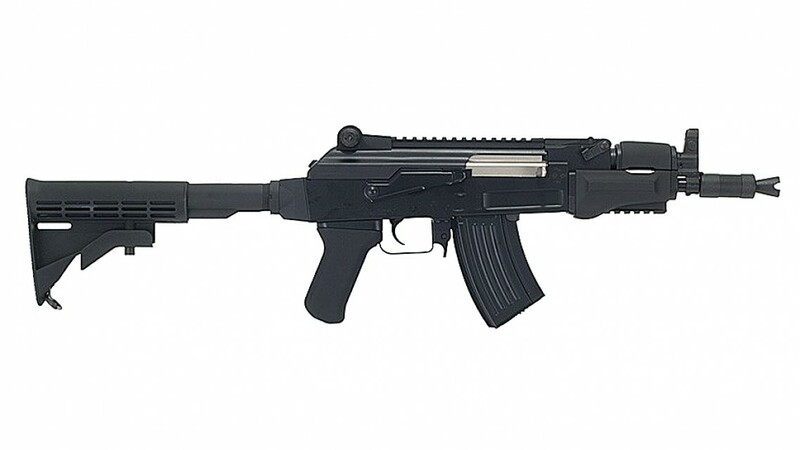 A fantastic choice as a primary weapon indoors or as a secondary weapon for specialists like Snipers or Machine Gunners; they need a backup option that is small and light but with decent enough firepower to compete with AEGs when in limited space or shorter range engagements.